This week Pilgrim finds that his hike through the uplands has ended badly. He has slipped, fallen from the narrow track and broken his leg. His friend went for help, and now we see the mountain rescue team toiling towards him, while a helicopter has also been scrambled. This week our theme is “Search and Rescue”. The Emergency Services regard Easter as the start of the Silly Season, when the Great British Public seems to spend its time falling off things, getting washed out to sea, or cut off by the tide - all because they have underestimated the behaviour of Nature. 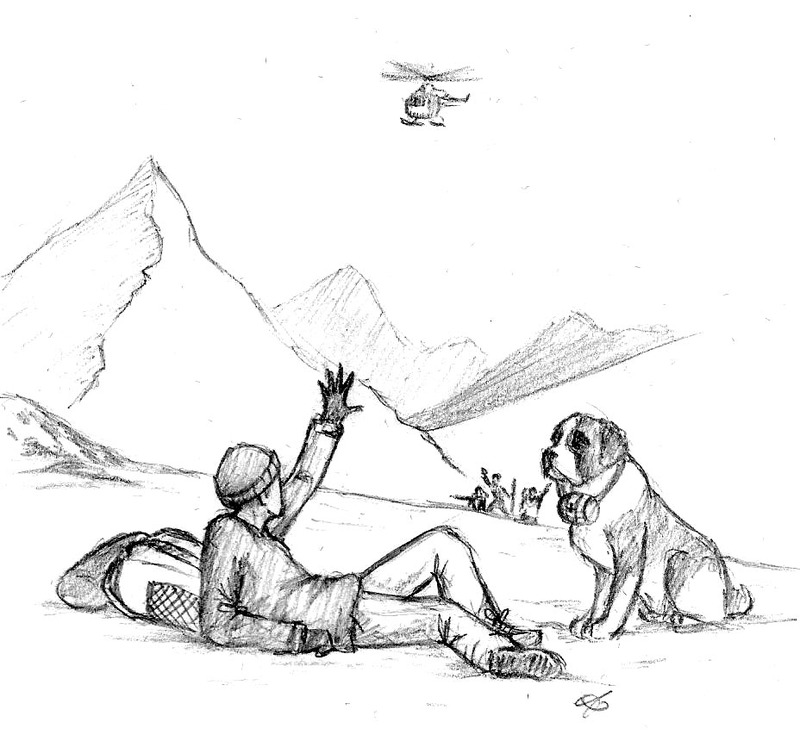 In life we do not only face physical risks, but also mental ones – maybe brought on by stress, overwork or force of circumstance; there are people here too, who are trained to cope with such traumas, and still others who risk their own lives to help us – all part of our Search and Rescue team! Thank God for them! It is comforting to know that such people are there to help us when we need them most. They put us in mind of that greatest Search & Rescue Shepherd of them all! So do come to the service, and enjoy fellowship with us afterwards. Next article:What Makes a Vicar?